Most individuals think that the probabilities of leasing a car or truck with a negative or bad credit are extremely reduced, Why? well, the response is straightforward, great credit is essential to open up doors for any type of financial investment especially when an auto is involved, however, that is not always the instance. Keep reading below to get informed and also obtaining some suggestions. Can I Lease a Car or Truck Without a Good Credit Score? How hard is to lease a car with less-than-perfect credit? The honest answer is that it’s not always easy, but with a little research, however, some intelligent shopping, and understanding where your credit stands, it isn’t impossible. The following are some concepts and ideas from industry professionals that can help turn the distressed buyer into a keen-eyed consumer. An official credit score is a summary of your standing as someone who takes care of their credit responsibilities. It is a hint of your precise standing at the instant of research. Your credit report, on the other hand, is a full summary of your history as a consumer and reliable debtor. Also, note that every time you run a credit check can negatively affect this number. It certainly can help to get a copy of the report and bring it to the dealer when you visit. Credit scores range from 300 to 850. A rating under 620 is designated as “subprime”. The minimum credit score required for leasing most cars or trucks is 700, on average. Even if you’ve got ugly credit, or maybe leasing a car without any credit, realistically you probably will not be bringing home your dream car. With bad credit, however, cheaper vehicles should be less challenging to get qualified for. Some leasing companies specifically only work with applicants with weak credit. Indubitably, there are car lots that work with all states of credit. If you are struggling to find somewhere to get a vehicle with poor credit, then it’s the same as anything else – you may broaden your search. Vehicle manufacturers generally release new models near the end of each year. As a result, dealerships may not want older models using up valuable space on their lots. Instead of continuing to lose cash, they’ll most likely be keen to unload. This can be a great opportunity for those with a low credit history. How about weak credit without a co-signer? You likely won’t be approved for a vehicle lease without an income. All is not lost, however – there is such a thing as bad credit car leasing. Show actual proof of your regular income, copies of pay stubs and evidence of an income that is more than enough to take care of your monthly expenses. Demonstrate that you are working to improve your weak credit ranking, and even include personal/professional references. Verification of prior leases you have had with exceptional payment history. If not a vehicle lease, a house may impress as well. Down-payments are a strong factor for leasing companies when they analyze your options. Generally speaking, those with near-perfect credit will qualify for a nearly no money down car or truck lease. For those with less impressive credit, however, the option for handing over a large down-payment can significantly improve your ability to acquire an ideal lease. 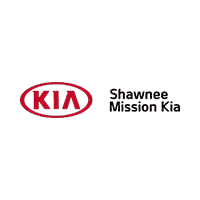 Don’t forget to take a moment to look at our Kia Finance page to answer any further questions you may have regarding the specifics of your choice. Make sure you consider each option wisely.